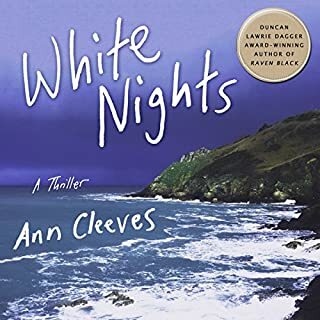 A group of old university friends leave the bright lights of London and travel to Shetland to celebrate the marriage of one of their friends. But one of them, Eleanor, disappears - apparently into thin air. It's midsummer, a time of light nights and unexpected mists. And then Eleanor's body is discovered lying in a small loch close to the cliff edge. I enjoyed this book as well as the previous 4 in this series...just waiting for a new credit so I can buy the next installment ! This was a cliff hanger...I really enjoyed all the twists and turns. Try it...you'll like ir! 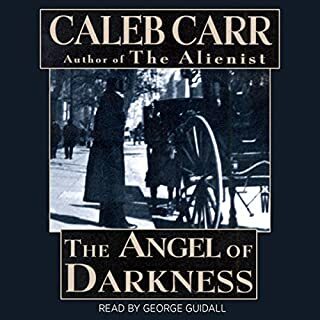 In The Angel Of Darkness, Caleb Carr brings back the vivid world of his bestselling The Alienist but with a twist: this story is told by the former street urchin Stevie Taggert, whose rough life has given him wisdom beyond his years. 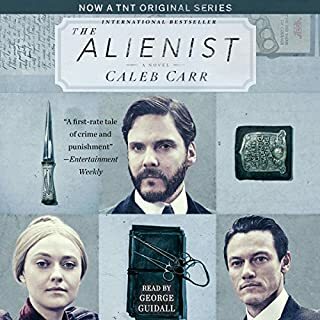 Thus New York City, and the groundbreaking alienist Dr. Kreizler himself, are seen anew. It is June 1897. A year has passed since Dr. Laszlo Kreizler, a pioneer in forensic psychiatry, tracked down the brutal serial killer John Beecham with the help of a team of trusted companions and a revolutionary application of the principles of his discipline. 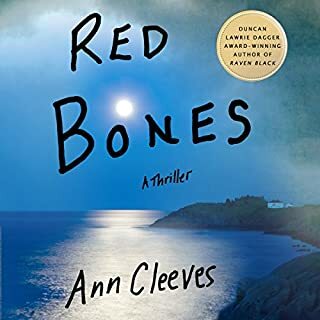 I really enjoyed this book...so many interesting characters and twists and turns...I'm sure you will like it as much as I did. Inspector Jimmy Perez takes his fiance home to Fair Isle, the tiny island he comes from, to meet his parents. The island is a magnet for bird watchers, who congregate at the local inn and lighthouse. When a local married celebrity who had an eye for the lads is murdered, Perez discovers that the suspects are very close to him indeed. Twists and turns again ! 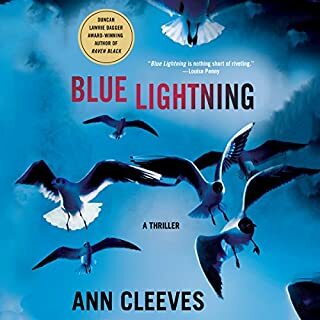 Having seen the TV series that was based on this book I can only saw they (the TV series) really changed a lot of the story line and I almost didn't recognize the story...but, I do recommend the book...a real cliff hanger . When a young archaeologist discovers a set of human remains, the locals are intrigued. Is it an ancient find - or a more contemporary mystery? 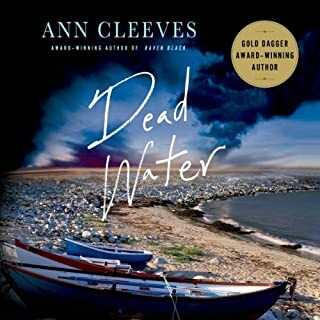 Then an elderly woman is fatally shot, and Ann Cleeves' popular series detective Jimmy Perez is called in. As claustrophobic mists swirl around the island, Inspector Perez finds himself totally in the dark. Red Boned...a story within a story. Twists and turns...plots and subplots. If you think you have the answer, read on and you wonder what was I thinking ! 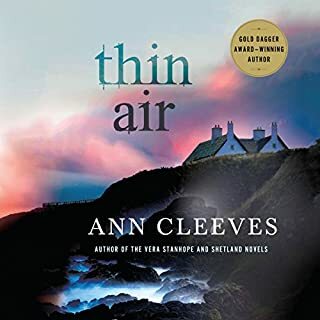 In this second audiobook of the Shetland Quartet to feature Inspector Jimmy Perez, the launch of an exhibition at The Herring House art gallery is disturbed by a stranger who bursts into tears, then claims not to remember who he is or where he comes from. The next day he's found dead, wearing a clown's mask. A lot of twists and turns....plots and subplots. A pleasure to listen to . Enjoyed . 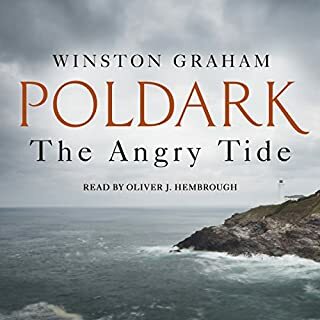 I enjoyed the audiobook ...I saw the TV version first...many changes but still held my interest . Started watching the TV show first then found audiobook and the rest is history. I highly recommend it! Very enjoyable book...a few chuckles here and there but over all a very engaging listen! Cornwall, 1818. 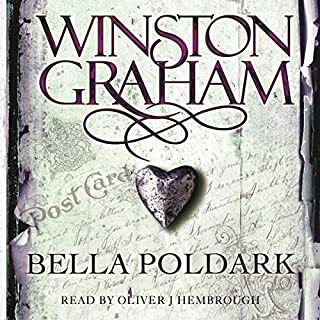 We continue the tale of Ross and Demelza; of the wayward Valentine Warleggan, whose existence keeps open the old wounds of the feud between Ross and George; of Bella, the Poldarks' youngest daughter, whose precocious talent as a singer is encouraged by her old flame, Christopher Havergal, and by a distinguished French conductor who has more in mind than Bella's music; of Clowance, the Poldarks' widowed daughter, who considers remarriage to one of two rival suitors; and of a murderer who stalks the villages of West Cornwall. Sad that it’s over, but so satisfied! 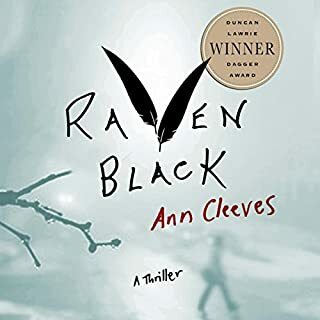 I really enjoyed this book ...I was taken aback when it finished as I was awaiting more!